This app will train you to play any note, in any range, in any dynamic, beautifully and consistently. It is a method that has been proven to dramatically help brass musicians of all levels develop a more beautiful sound, and a more consistent and accurate level of playing. In order to obtain maximum effectiveness, all quality tones in each session appear in a random order. This method allows you to work on a variety of quality tones in your full range in a much more efficient manner. You will find this method more difficult than practicing attacks in a non-random order, but you will also find it supremely more effective. No longer will you have to worry about playing contrasting excerpts or passages right after the other, because you’ll be confident and trained to play any note beautifully, in any order, and in your entire range - on demand! This app surpasses standard method books because it gives you the ability to work on exactly what you need to practice, and then constantly tweak it in a matter of seconds. You can customize the lowest and highest note that will be asked for in each session, and turn on or off 13 different variations of dynamics and articulations. This allows you to isolate and focus on specific areas you would like to improve. You could devote an entire session to soft high note attacks, improve your stopped horn technique if you’re a horn player, extend your extreme high range if you’re a lead trumpet player, or slow things down with a series of long tone variations - there are endless possibilities. This Quality Tone App will tailor to YOUR needs. THIS JUST IN - a new version of the Quality Tone App has been added to the App Stores! This version has the basics of what you may need for every day use. Even better, it's only $0.99! Go download it today below. This app is fully customizable and it is ultimately up to you to decide on how it should be used. • You can customize many things. You can find your customization options on the Customize Session Page. • On the Customize Session page, set the desired range you’d like to work on. This can be your full range, or a smaller range of notes you would like to drill. Turn on your choice of quality tone variations. • Set a metronome to desired tempo. • Repeat this process until you have reached your pre-determined number of slides, or your time limit. • This exercise will undoubtedly make you a better player. However, how fast you improve is up to you. It is ideal to go about this exercise with a perfectionist’s attitude. Don’t let any bad note slide by. When you find a quality tone that is difficult for you, by all means, spend a lot of time exploring and finding ways to play it more beautifully and consistently in the future. This is the standard QT and a very important one. Above all else, you should go after a clean and clear attack with a beautiful and effortless tone that best matches your sound concept. Avoid any change in pitch, color, or dynamic for the duration of the note. One of the best assets of this exercise is the ability it gives you to practice extremes and expand your comfort level. Push your boundaries when a fortissimo QT comes up, but always go for a good loud sound—A clear and unwavering block of sound that is not forced or out of control. Every brass player in the world can, and should practice their soft playing. When a pianissimo QT pops up, push yourself to failure. Play it “stupidly” soft; softer than you would ever play it in a performance setting so that when you play your ‘usual’ soft in context, it feels that much more secure. Over time you will find that in all situations your soft extreme will expand. These are common in ensemble settings. Above all else, go for a clean, clear attack, always risking in your dynamic level. Air attacks are useful in performance settings as well as developing great control and response in the practice room. The idea is to make the note speak as soon as you start to exhale. This trains your lips to buzz even with the slightest push and will greatly help any response issues you might be having. To have the best multiple tonguing abilities, it is imperative that your k-tongue sound as similar to your t-tongue as much as possible. Try to achieve the clearest attack so that when you bring your k-tongue into context it sounds just as even and clear as your t-tongue. It cannot be overstated how helpful these are for brass players. With this QT, the pitch should not waver at all (it is very easy for some musicians to play sharp on loud segments). Firstly, this exercise teaches you what adjustments you need to make (changes in your aperture, air, etc.) to change dynamics correctly on a single note. Secondly, it teaches you to play your notes where your instrument naturally wants to place them. Strive to play the QT in the center of the slot with an air-based style. It is common knowledge that long tones are extremely beneficial for brass musicians. Try to make the crescendos and decrescendos as gradual and smooth as possible. Avoid bumps and shakes along the way. Be sure to keep a steady pitch center from beginning to end. These are a great way to practice your soft playing. Hold the note as soft as you possibly can, for as long as you can. Maintain the same pitch and dynamic for the duration of the note, avoiding any bumps or wavers. Shoot for a smooth, controlled, gradual change in the crescendo. Shoot for a smooth, controlled, gradual change in the diminuendo. If you would rather have the quality tones appear pitch by pitch in ascending order, turn this option off. If you would like to work on the quality tone variations one pitch at a time, turn this option off. This is helpful to get a good grasp on each note, as you will spend more time working out the different quality tone variations extensively on the same pitch back-to-back. 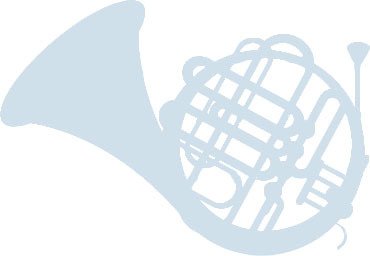 To find out more about Apps for Brass LLC, please email us at spencer.park@appsforbrass.com. Alternatively, please use form below. © Copyright 2019, Apps for Brass LLC. All Rights Reserved.